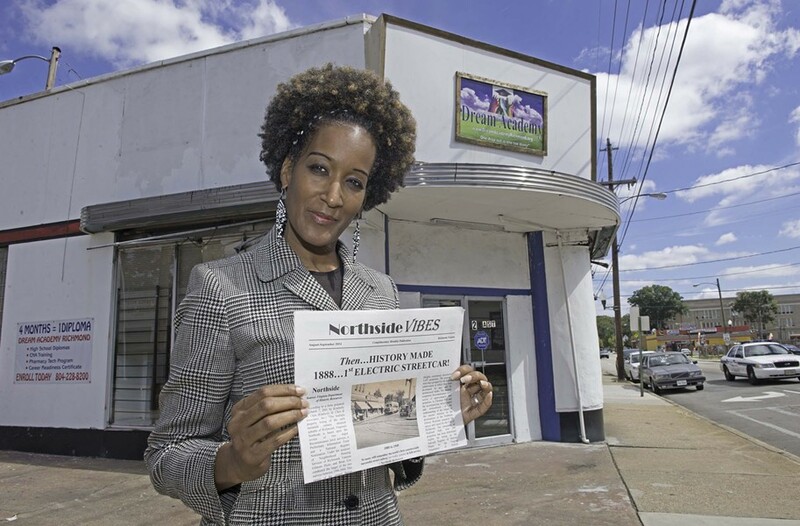 After Tough Times, Woman Launches North Side Paper | News and Features | Style Weekly - Richmond, VA local news, arts, and events. Scott Elmquist Deone Flavor, holding a copy of the new Northside Vibes monthly newspaper. Hunched over a computer screen in a 6-by-9-foot room lighted by a shadeless table lamp, Deone Flavor insists that her 12-hour days are worth it. Her new monthly newspaper is her way of connecting a neighborhood. "This is what I want for the community," she says, putting together its second issue. "I want to see a paper in everyone's hand. I want people to have something to take home." You'll find no Twitter account and no website for Northside Vibes. Flavor, 51, says her entry into the publishing scene hearkens to a time when newspapers were a communal ritual. To get one of the thousand copies of the paper, you'll have to pick one up just like the old days. It's available from various shops in the neighborhood. Flavor launched her paper in September with $22 in office space donated by the adult education program Dream Academy on Brookland Park Boulevard. The first issue includes an article about the history of North Side's electric streetcar system and a column from Richmond police Lt. Lewis Mills. Flavor says the goal is to put out positive news about an area of Richmond that she says she was warned about while growing up on the West End and continues to face a stigma for its higher crime rate. "Let's take the spotlight off drugs and the murders," she says. "I want to be a vehicle to bridge the gaps between local agencies and businesses that keep them from coming to the neighborhood." She tried publishing before, but it was more of a hobby initiated by her then 7-year-old grandson. Her new role comes after she got burned out from the corporate world, quitting her job at a technology company in Northern Virginia and struggling to avoid homelessness. "No one wants to be broke, but it's hard to put a price on freedom," she says. "I'd rather be happy and broke than rich and miserable." While not raking in thousands, the paper's first issue has a back page filled with business-card-sized ads. 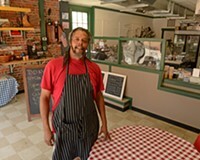 Northside Hardware owner Grover Willingham, one of the first advertisers, says he's impressed with the results. "I thought it was very good," he says. "It's going to be great for the community and expose what we have to offer." Nomad Deli settles on Brookland Park Boulevard.